A friendly place to have a drink. They know the slogan's lame, but they've had it all that time, and it never turned away business. 2001 - Business ownership passed to the son of the previous owner. 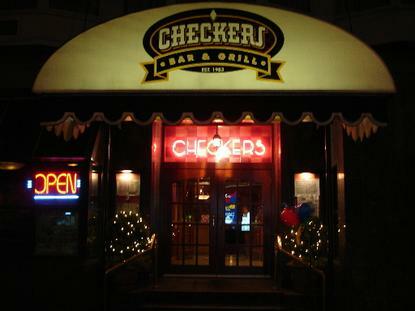 Checkers is a fairly large-sized bar, with patrons mostly in the mid to late twenties, though patrons of all (legal) ages are allowed within. It's known for its easy atmosphere and friendly staff.